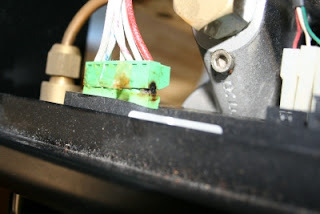 Seems that I have finally suffered heat damage to my reliable Stir Crazy. It lasted a full year and a half with the original plastic shaft on the motor. I only replaced the nut with a metal washer and wingnut. However, the heat over that time has broken it down. Time to do a full metal replacement. No, not my Expobar! Say it ain't so! Oh how I wish. Well, my Office Control took a dive on Saturday. Details here at CG. I can survive on french press, but it will be a struggle if this goes on for too long. I am such an expresso junkie! Wow, June 1st. And my last entry was March? Shame. Too little time, too much coffee. Topic of the day: just how much good coffee? This is a big world and many, many people in it drink coffee. From comments on the co-op, I know that America tends to get lousy coffee. 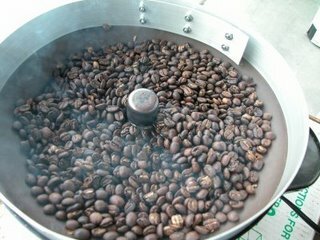 The supplier of the finest coffees is small and the demand is high, especially from buyers in countries that demand excellence from their coffee and truly understand the difference. Most Americans still believe that Starbucks offers the pinnacle of coffee excellence! So, my thought for this morning is just how much great coffee is out there that I have never and will never taste?